European forum : the rehabilitation of the inmates in Europe on Arte, French-German channel , November 19 2005. The recurrence, which solutions ? 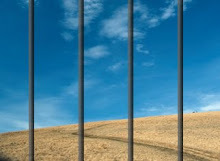 Arte broadcasted a documentary on the rehabilitation of inmates in 3 European countries. The journalists just went to a jail where Sahaja Yoga is taught : in Helsinki . And they filmed P. , an inmate who has been practising Sahaja Yoga since January 2004 . P. arrived in this jail in 2001. 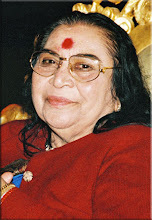 He was feeling very bad before meeting Sahaja Yoga. “In this jail we are going to visit, there are 340 inmates. This jail of Helsinki is the second one from Finland for the number of prisoners. Tree quarters of the inmates were already condemned. But the jail is doing a lot for rehabilitation. The surroundings of this jail seem to be peaceful. In some parts of the jail, the inmates have a little freedom. P. is living in a cell which is staying opened the whole day. Studies and meditation, that’s how he is spending his time. “P. prepared his bachelor in jail. He is following University courses with teachers coming in the jail.